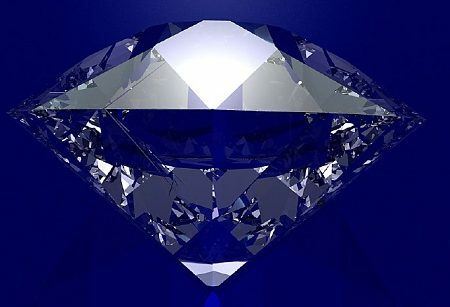 Diamond Tours Unlimited (est.1992) success is based on being sensitive to client’s needs and following a hands-on approach to ensure consistent quality. No wonder a significant portion of business comes from former clients and referrals. 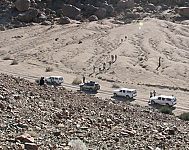 Thousands of clients both local and international have experienced Kimberley and the Northern Cape region courtesy of Diamond Tours Unlimited. The company is recognized for the personal touch, attention to detail, experience, pampering service and knowing about the best venues. 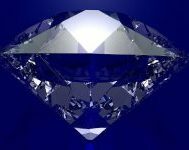 As the son of a 3rd generation diamond digger, Dirk Potgieter spent his youth on the alluvial diamond fields of South Africa. Dirk Potgieter in many ways pioneered tourist guiding in Kimberley and the Northern Cape Province and knows it like the back of his hand. Residing in Upington for a year gained valuable insight into the vast Kalahari Desert, the great plains of the Bushmanland and the mighty Orange River at Augrabies Falls. 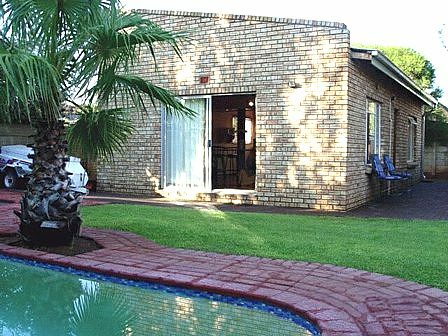 Today, married Dirk is based in Kimberley where the family have made their home. 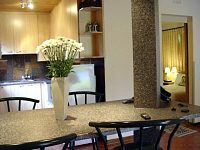 A visit to well known Kimberley with it’s famous diamond and Colonial history offers a diverse variety of unique tourist attractions; bound to surprise even experienced travelers. 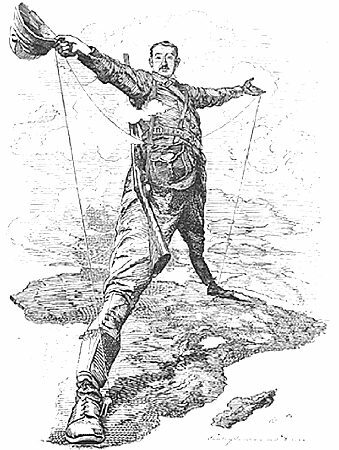 Names like Cecil John Rhodes (founding chairman of De Beers), flamboyant Barney Barnato, adventurous Scotty Smith and talented Sol Plaatje always fascinate. 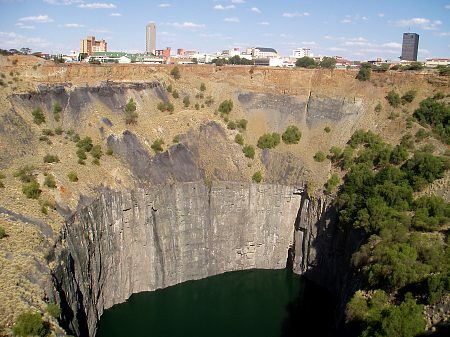 The premier attraction remains the world class Big Hole Development. 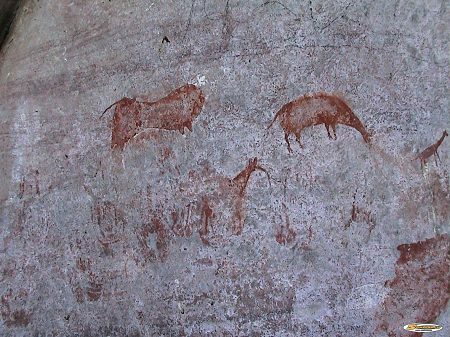 The three main theme fascets of any Kimberley visit would be the diamonds history and industry, battlefields and colonial history or archaeology. 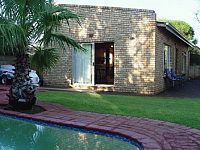 This modern cottage combines a home and garden atmosphere with a separate entrance and private cottage setting; fully equipped with comfortable quality bedding, towels and added comforts. A spacious interior makes use of natural light complemented by soft colours, while abundant floor tiles assists in keeping cool during summer. 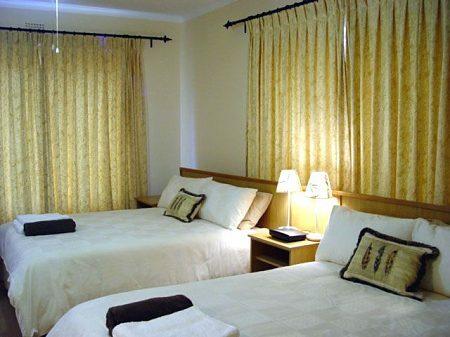 The southern Kalahari is a sand desert with an arid savannah setting. 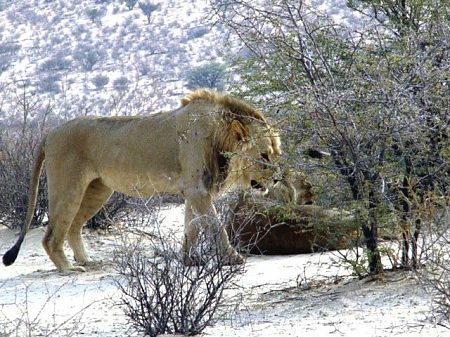 The Kgalagadi Transfrontier Park is situated within the arid south of the Kalahari Desert. 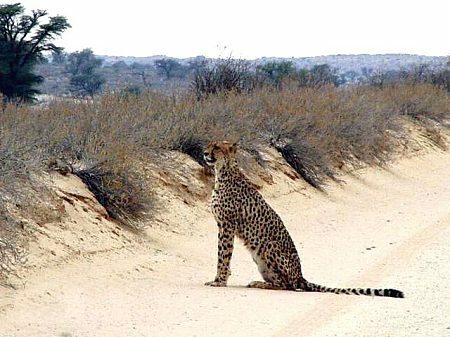 With two dominant fossil rivers; the wide Nossob and narrow Auob, dune and tree savannah landscapes and haunting desert scenery, the Kgalagadi Transfrontier Park must surely rate as one of the world’s most sacred wilderness places. The annual Namaqualand wild flowers are one of nature’s great spectacles! 2006 was stunning and the 2007 season may yet hold the promise of yet another stunning wild flower season. 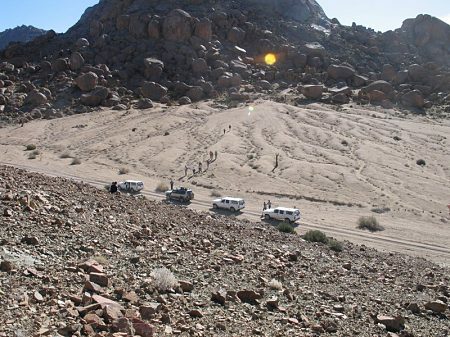 The Richtersveld is a good example of one of the most interesting mega-ecosystems of the world. 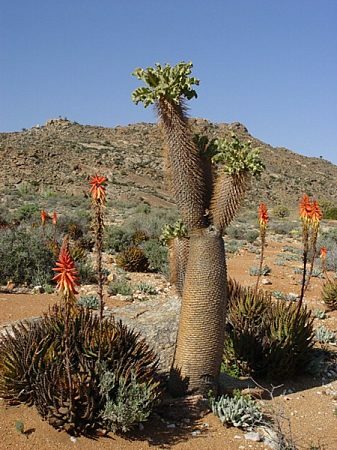 There is no desert flora on earth possessing similar species richness and individuality of flora. 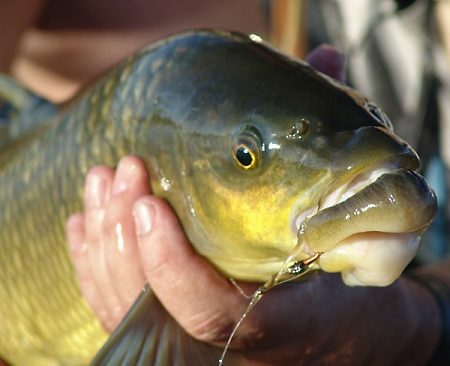 The largemouth yellowish is the largest scaled fresh water fish in South Africa (comparable to the maisa of north India) while the Kimberley area is accepted as the premier destination for both largemouth and small mouth yellowfish in South Africa. Considering the fact that yellowfish are essentially only found within South Africa, further enhances Kimberley’s exciting position. This selection of world class flyfishing on 2 local rivers and Kimberley’s easily accessible central position within South Africa; linked to the absence of malaria and crocodiles, are all favourable factors to consider. 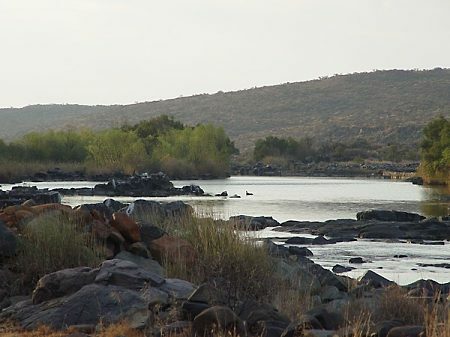 The selection of world class flyfishing on 2 local rivers and Kimberley’s easily accessible central position within South Africa; linked to the absence of malaria and crocodiles, are favourable factors. Find the ideal Kruger Park Safaris on Krugerwildlifesafaris. View more Kruger Park Safaris on Southern Circle Tours and Safaris.